MELBOURNE (Reuters): Garbine Muguruza claimed a 6-4 7-6(3) 7-5 win over Johanna Konta early yesterday to reach the Australian Open third round and etch in her name into the record books as the winner of the latest starting match in the tournament’s history. 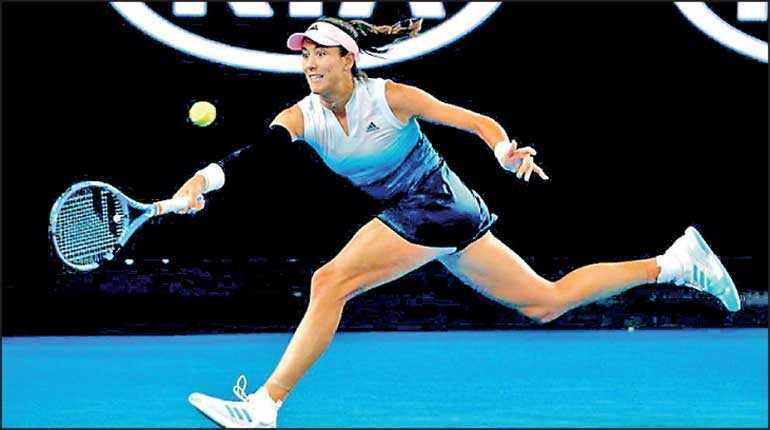 With a log-jam in scheduling caused by two men’s five-setters earlier on Thursday, 18th seed Muguruza and Briton Konta were kept from playing their first point until 12:30 a.m. local time (1330 GMT) in front of a smattering of hardy fans at Margaret Court Arena. The start was more than half an hour later than Daria Gavrilova and Elise Mertens’s second-round match at last year’s tournament, which began a minute before midnight.